Ropa vieja, which translates quite appetizingly to “old clothes,” is a rich Cuban meat dish. If you’ve never tried it, kindly stop reading and go to your nearest Cuban restaurant and order some; here’s a link to Yelp, just search for Cuban food. I’m serious about this. 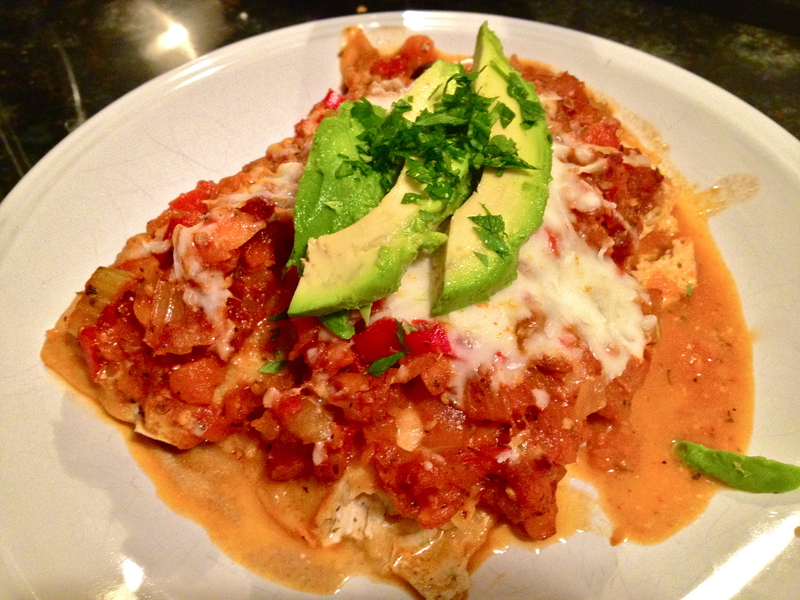 If you were to ignore my command and try these enchiladas before eating real deal ropa vieja, it would be like watching Godfather II before you ever saw Godfather I; you enjoy it, but you don’t really get what’s going on. I think that makes my point well enough–see you in an hour or so. Buen provecho. If you’re still reading, then either I don’t have the authority to make you blindly obey my food directives, or you’ve eaten ropa vieja. Let’s move on. I created this tasty dish out of pure cowardice. Though I love ropa vieja itself, I’m intimidated by the idea of cooking it (partly because I want it to be as authentic as possible, and partly because every recipe I read has different ingredients and directions!). What’s a girl to do? I decided to bail on the authenticity route this time, cut out the meat, and just try to play with the other flavors a little bit. Maybe as I walk farther down Recipe Road I’ll decide it’s time to give the real ropa vieja a try. 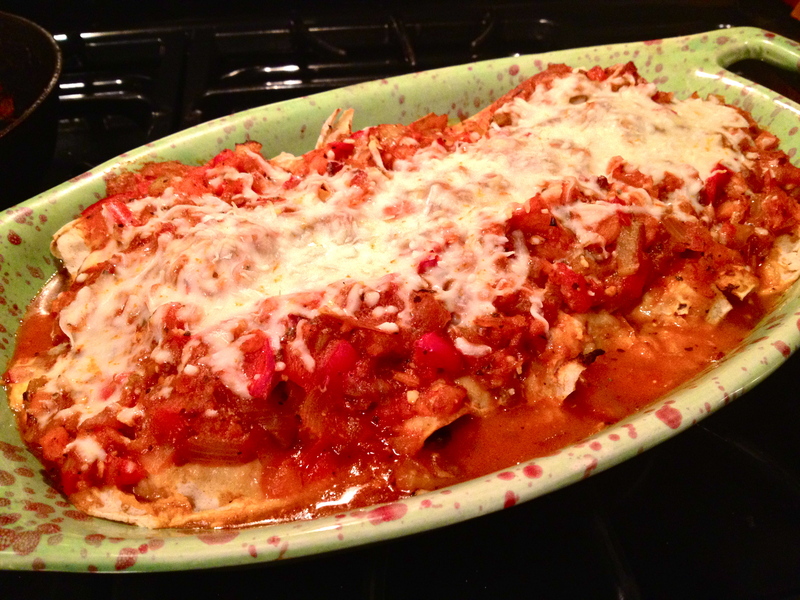 For now, here’s my enchiladas in ropa vieja sauce—the lovechild of Mexican enchiladas and Cuban ropa vieja, two of my favorites. Heat a pan with oil over medium heat. Stir in onion, bell pepper, carrot, celery, bay leaves, tomato paste, oregano, garlic powder, cumin, chipotle chile and adobo sauce, garlic, and salt and pepper. Bring to a boil, then reduce heat and simmer for 1 hour. 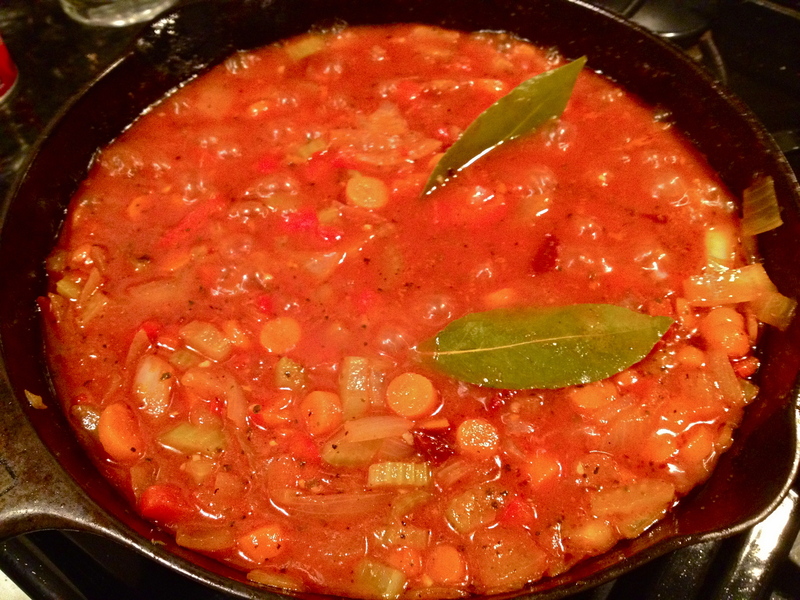 When the veggies are completely softened, remove from heat. Remove the bay leaves and, using a potato masher or immersion blender, crush up the veggie sauce, as smooth or as chunky as you like. I forgot to do a step here: dip both sides of the tortillas in the sauce, coating them so that they’re softened and easier to roll. 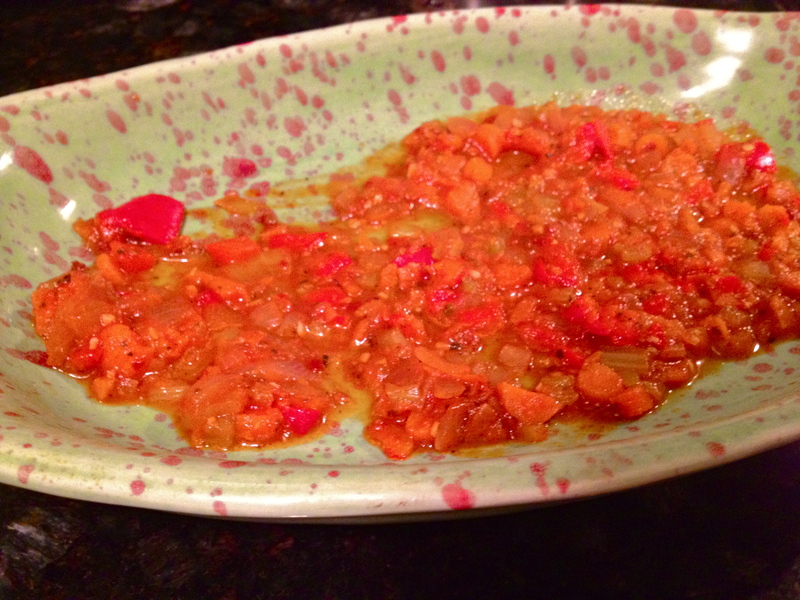 Then, spoon some of the sauce over the bottom of the baking dish. 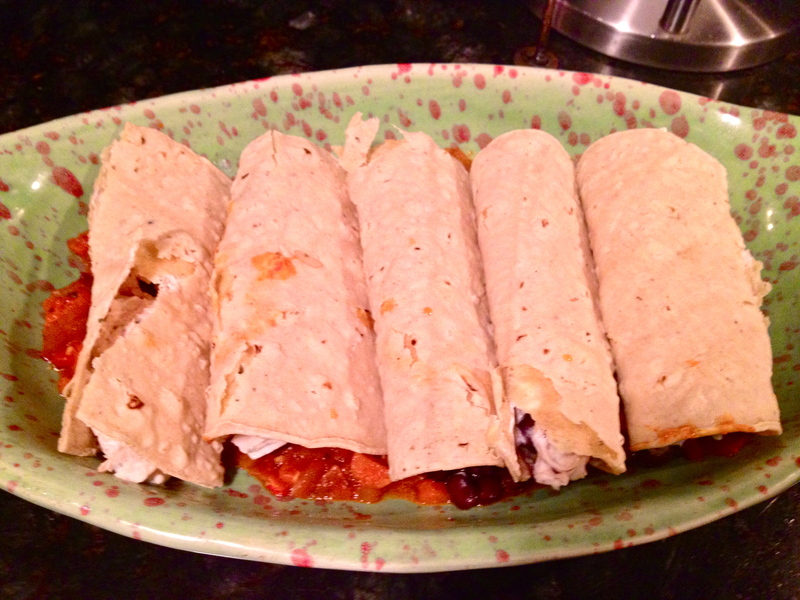 Now take whatever enchilada filling you’re using and roll it inside the tortillas (the tortillas which you have diligently coated in sauce, UNLIKE the tortillas in my photo!). Place them seam-side down in the dish. 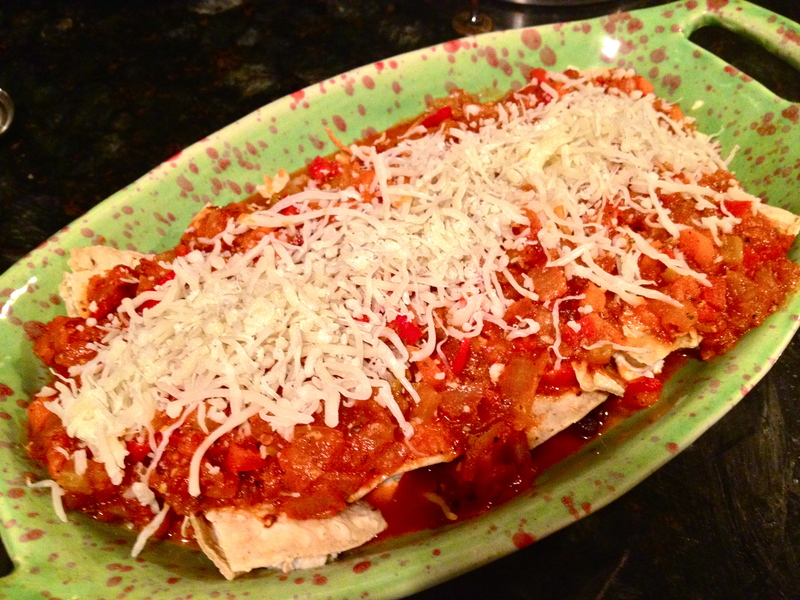 Spoon the rest of the sauce over the tortillas and sprinkle with cheese. Place the dish in the oven; nothing has to cook here, we’re just heating it through. Bake until the cheese is completely melted and the tortillas have just barely started to brown a bit at the edges. Serve it up with a few slices of avocado and a sprinkling of parsley. Gorgeous, isn’t it? I think my confidence might be boosted enough to give the real thing a go…anyone know a great recipe for authentic ropa vieja? Previous Maple and Orange Marmalade Cookies. Next Green Chile White Chili.